The HKKMS is very happy to welcome Professor Constantin Bratianu for a meeting of the society on the 6th December @6:30pm. 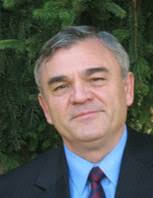 Prof Bratianu, will discuss with members on the practical implications of the knowledge dynamics in organizations. Knowledge management focuses mostly on data, information and knowledge. However, the challenge of knowledge management is to understand and manage intelligently knowledge dynamics within organizations. Knowledge dynamics has been interpreted so far as knowledge flow, or as a transformation of tacit knowledge into explicit knowledge. More recently, knowledge is interpreted as spectrum composed of rational, emotional, and spiritual knowledge. In this new perspective, knowledge dynamics means transformation of one form of knowledge into another form. In practice, this phenomenon is essential in understanding people motivation, knowledge creation, innovation, entrepreneurship and decision making. The meeting is $200 for non-members and free for HKKMS members. Please reserve your place by registering below. Further details of the speaker can be found below. Constantin Bratianu is Professor Emeritus of Strategic Management and Knowledge Management, UNESCO Department for Business Administration, and Founding Director of the Research Center for Intellectual Capital, Bucharest University of Economic Studies, Romania. He has been Visiting Professor at universities in USA, Japan, Austria, Italy, Hungary and Egypt. He published over 25 books and 200 papers in international journals and volumes of international conferences. He published several chapters and two important books in knowledge management: Organizational Knowledge Dynamics (2015). IGI Global, USA, and Emergent Knowledge Strategies (2017) together with Ettore Bolisani, Springer, Germany. He is Associate Editor of Electronic Journal of Knowledge Management, and co-editor of the international journal of Management Dynamics in the Knowledge Economy. He is a member of the American Academy of Management, Romanian Academy of Scientists, and International Association of Knowledge Management. His academic interests are: knowledge dynamics, knowledge management, intellectual capital, and strategic management.